The time difference between Moscow, Russia and my home state of New Jersey is eight hours. It is another hour to Baton Rouge, Louisiana and the biggest hockey fan I know lives, my brother. The time difference allows my day to start and his to end with a lengthy Facebook chat nearly 6,000 miles away from one another. Save for a few anecdotes about the hilarity of our current cities, the conversation is always about the New Jersey Devils, the excitement of playoff hockey and my groggy 3am wake up for the opening face-off. Think Zach Parise will resign? Who do you think the Devs match-up better with the New York Rangers or Washington Capitals? What about Brodeur, looks like vintage Marty, you think he can keep this up for another series? God, I hate the Rangers. Adam Larsson has looked decent so far, Bryce Salvador too. Did I say I hate the Rangers? The daily hockey banter is essential since I live in a foreign country where I do not know enough of the language to talk puck with the locals. Plus, with the KHL season over hockey takes a back seat to soccer, if it had not already. Back in the day, when life was easy, we would take the short but always eventful drive up the New Jersey Turnpike to The Meadowlands, a frequent tradition to watch our favorite team. 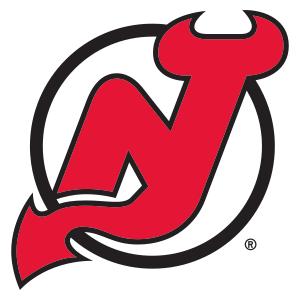 Lucky enough to witness the greatest moments in New Jersey Devils history from such a young age, we were spoiled from the start. Those memories of the old Continental Airlines Arena and Stanley Cup championships still feel like just yesterday, at least when I talk about them with my brother. He routinely sends me youtube clips of the closing seconds of Devils Stanley Cup clinchers though we have both seen it dozens of times. When the team moved to Newark a few years ago we did not have to rely on a car to get to the games. A short train trip on NJ Transit drops us off one block away from The Rock, adding a different piece to the tradition. We have seen some great games at the Prudential Center. 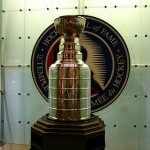 In 2010, down two goals with just over three minutes to play against the Toronto Maple Leafs, the Devs scored three goals to win in regulation, or when Ilya Kovalchuk blasted home an overtime winner against Pittsburgh in March 2011 to keep Devils fans believing the team would somehow make the playoffs. Sitting in the top row of the arena, my brother, dad and I all jumped into each other when the horn went off, slamming into the wall behind us. I somehow cut my hand, blood down the front of my Scott Stevens jersey. More than a year later I still have not washed it. This current run the Devils are on reminds me of the early days when my brother and I would watch games together. When Martin Brodeur was like a brick wall, Stevens and Ken Daneyko struck fear into the hearts of anyone skating across the blue line. OK, I know Marek Zidlicky, Andy Greene, Salvador and the rest do not make opponents quiver in their skates, like those two greats but the outcomes have been the same. A dominate 5-on-5 game which can rival anyone still alive in the playoffs and a goalie giving up around two goals per game at the ripe age of 40. Me being five years older than my brother, I went off to college about a 10 hour drive away from home then bounced around the U.S. to start my career, by the time I made it home, albeit briefly, he was on his way to Louisiana State University. Next week we will both be home in New Jersey, our dad will be there too. The bash brothers, like Stevens and Daneyko and old reliable defending the nest, I mean, net like Brodeur. The three of us will enjoy a playoff game together for the first time in far too long.